their northern limit here, not far from the Wabash River in Indiana. 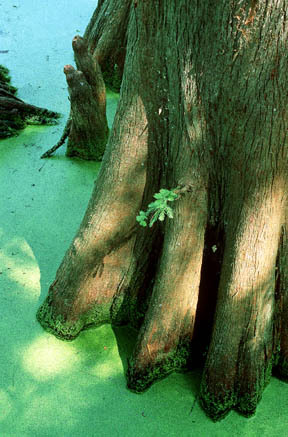 Bald cypress trees love the water. 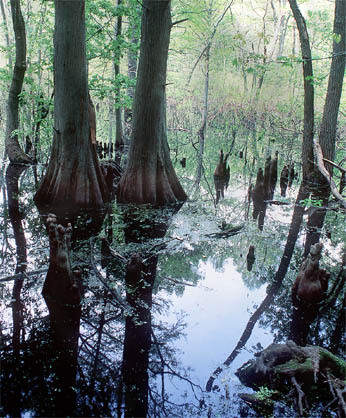 Their buttressed bases help them stand tall in the muddy soil. These are coniferous trees, but they're not evergreen. 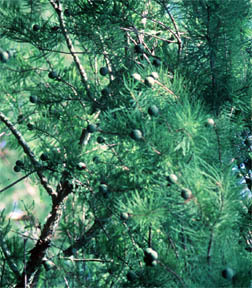 The soft, feathery needles turn brown and drop off in the fall. 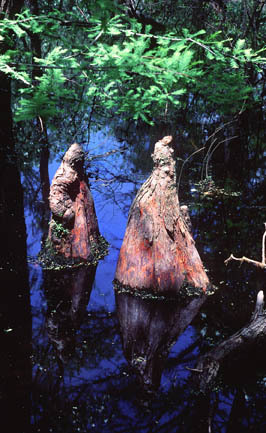 Here's a closer look at the base of a cypress and a group of knees. One theory suggests that the knees extend into the air to help get oxygen to the roots. 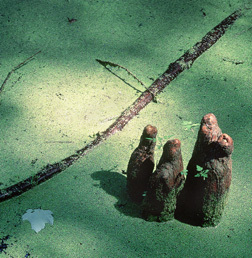 Pale green duckweed is covering the surface of the water.